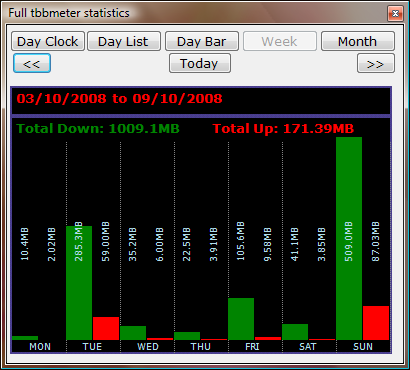 tbbMeter is a bandwidth meter we have developed to help you monitor your Internet usage. 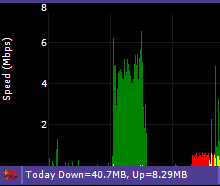 It allows you to see how much your computer is sending to and receiving from the Internet in real time. 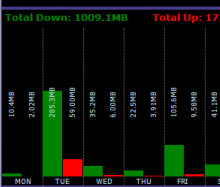 It also shows you how your Internet usage varies at different times of the day. It does not record what you do on the Internet (i.e. it doesn't know what web pages you visit). 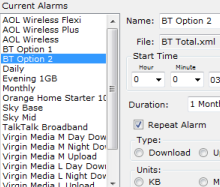 You need to have installed the Microsoft .NET 2.0 framework prior to installing tbbMeter. Newer versions of Windows may already have this installed or you can download it from Microsoft. An older version is also available for download. Please note this version is not compatible with Windows 7 SP1, and we recommend that users of this use our latest version. If you need any assistance, please see our frequently asked questions. We also have a dedicated forum section for discussion of any issues. 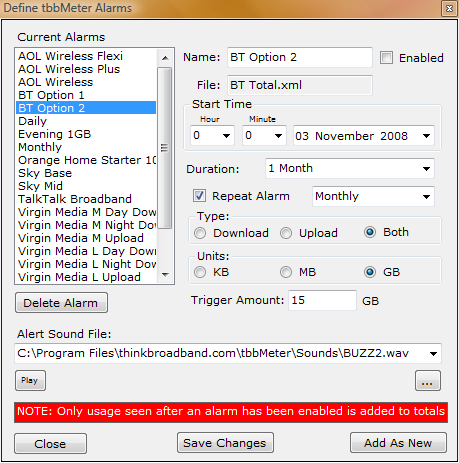 tbbMeter is currently only available for Windows XP, Windows Vista (32 and 64-bit versions) and Windows 7 (32 and 64-bit versions). It also requires .NET 2.0 or a later version of the .NET Framework to be installed to work. The software will install and run on Windows 8 and Windows 10 but TCP/UDP traffic detection will not work. Some network card drivers may also be missing the performance counters missing, but manufacturers appear to have largely fixed those issues with driver updates. You can find our license agreement here.